Jane Fortune of Indianapolis, IN, Boca Grande, FL, Leland MI and Florence, Italy peacefully passed away on Sunday, September 23, 2018. Jane was born in Indianapolis IN on August 7, 1942. 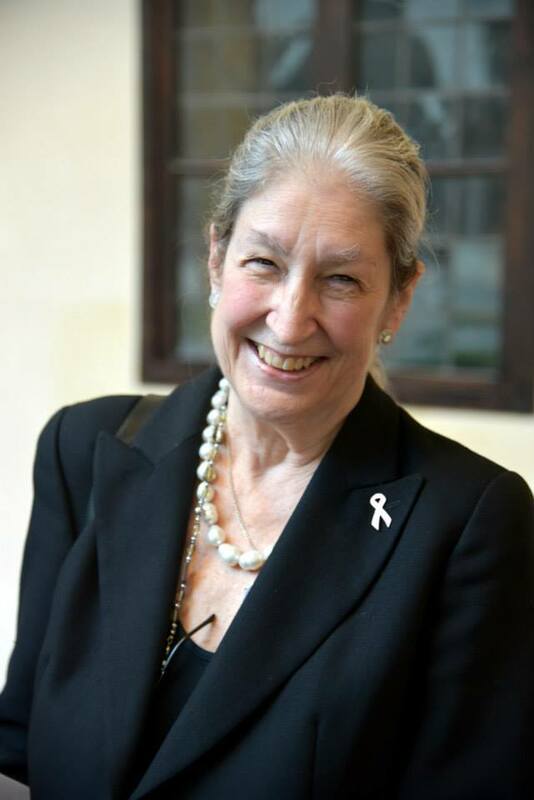 She was most noted for being founder and chair of Advancing Women Artists (AWA), a not-for-profit organization whose mission is to research, restore and ultimately exhibit art by women that have been hidden away in Tuscany's churches and museums. Fortune's book Invisible Women: Forgotten Artists of Florence – which inspired an Emmy-winning PBS television special in 2013 – was catalyst to reclaiming these works from oblivion or decay. Under her leadership, 55 artworks by female artists spanning five centuries have been restored and returned to the museum spotlight in venues like the Uffizi Galleries, Santa Croce, the Accademia and the San Marco Museum. Fortune's decade-long efforts to restore Plautilla Nelli's oeuvre laid the groundwork for the Renaissance artist's first-ever solo show at the Uffizi in 2017. By nature of her work, she became known in Florence as 'Indiana Jane' and in 2015, Florence Mayor Dario Nardella honored the Indianapolis-born philanthropist and author with the Fiorino d'Oro Award, the city's highest honor: "We consider Dr. Fortune, one of our citizens, one of us, a Florentine in every way, and I’d even go so far as to say, a great Florentine." In 2010, as a Trustee at the Medici Archive Project, she established the Jane Fortune Research Program on Women Artists which has engendered discoveries virtually revolutionizing art-by-women scholarship, particularly for Artemisia Gentileschi. 'As I work to give these women artists a voice in history, I find my own voice,' Fortune once remarked. As Cultural Editor of The Florentine (2006 to 2018), she wrote on the city's 'hidden gems' and, on this same premise, she authored or co-authored publications including To Florence, Con Amore: 90 Ways to Love the City and Art by Women in Florence and Santa Croce in Pink: Untold Stories of Women and their Monuments and was a regular contributor to the art and travel magazine Timeless Travels. Her last book When the World Answered: Florence, Women Artists and the 1966 Flood became an Emmy-nominated PBS documentary in 2015. In 2014, the Indiana Historical Society recognized Jane and her life partner, Robert Hesse, as 'Living Legends'. Together they co-founded the Indianapolis City Ballet, bringing the world's top ballet dancers to Indianapolis for an 'Evening with the Stars' and master classes with local dance students. Fortune supported the arts stateside as trustee or advisory council member at the Indianapolis Museum of Art, the National Museum of Women in the Arts in Washington DC (where she founded the Florence Committee of NMWA in 2005), the Indiana University Museum of Art, the Herron School of Art and Design and the Pennsylvania Academy of the Fine Arts and the Fine Arts and Studio Arts International Saci. As former chairman of the Deafness Research Foundation in New York, Fortune was an advocate for art accessibility for disabled persons – particularly the deaf and the blind – founding and funding Special Needs Programs at several of these institutions. As lovers of Italian cuisine and wine, Jane and Bob also branched out their creative endeavors by opening Bella Fortuna, a Tuscan restaurant located in Suttons Bay, Michigan. Recognizing the achievements of women artists was also at the forefront of her US-based work. Her endowment of the 'Outstanding Visiting Artist Lecture Series' at the Herron School of Art and Design is among the most notable. Fortune's most recent endeavor, 'A Space of their Own', brings together Advancing Women Artists, the Eskenazi Museum of Art and Indiana University in order to build the world's largest research database on international women artists from the 1500s to the 1800s. In recognition of her commitment to women and the arts, she had received an honorary Doctorate in Humane Letters from Indiana University in 2010. Jane has also been the recipient of the 2018 Indiana Arts Council Arti Award: the 2016 recipient of the Girl's Inc. Touchstone Award, the 2013 recipient of the IUPUI Chancellor's Award, the Tuscan American Award of 2013, the Indianapolis Mayor's Advisory Council on Disability in 2007 Accessibility Award. In every way, Jane Fortune's life recalls a line from one of Artemisia Gentileschi's letters: 'My Lordship, I will show you what a woman can do.' Ovarian cancer has claimed her body, but never did it crush her spirit. Until the end, she remained at the helm of the organizations she so lovingly forged. Jane Fortune. A fierce but humble champion of Humanism, in the highest sense of the word. Jane is survived by her son, John Medveckis of Basalt, Co and her daughter Jennifer Medveckis and son-in-law James Marzo of Singapore. Services in Indianapolis will be held at the Second Presbyterian Church on Wednesday, September 26 2018 at 11am. Jane's Florence mass will be held on October 9, at 6pm, at the Basilica di Santa Croce. In lieu of flowers, contributions to Advancing Women Artists (AWA) would be appreciated.